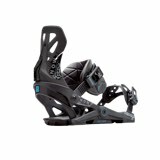 The Apollo Snowboard Bindings from Jones. 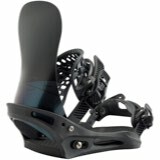 Using technology under license from NOW Snowboarding. 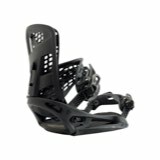 If you are familiar with those, you will recognize the distinctive chassis that supports the NOW skate tech kingpin system. 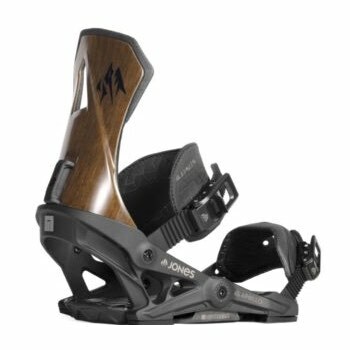 The Apollo Snowboard Binding is the freeride-focused binding, featuring a stiff, asymmetrical Carbon Flax highback, which comes pre-rotated 5 degrees. 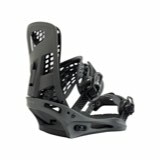 Apollo is the freeride, technical lines, seriously stiff, super responsive carbon and flax highbacked beast. 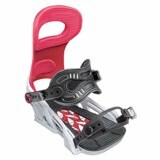 Featuring a 9 out of 10 flex rating, this binding is all about the response.